The other day I published my first in a series of beginning to work with SAP HANA, express edition. 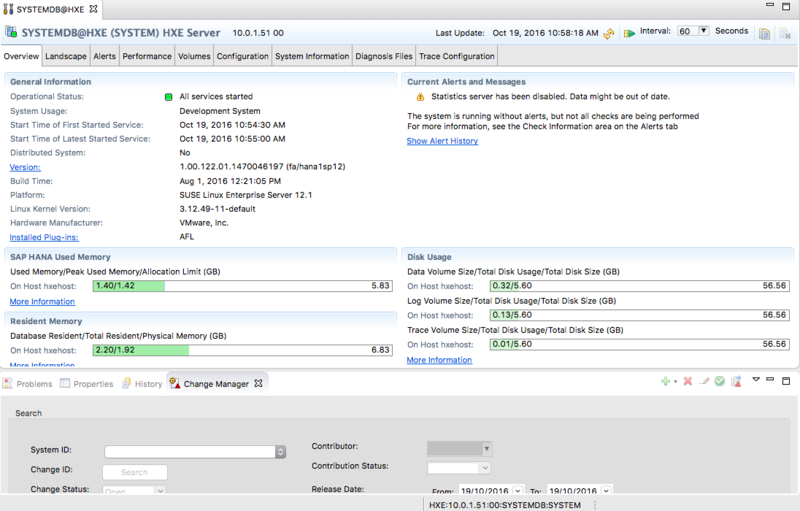 So today I decided since I have vacation I would post my second in the series, basically picking up where I left off in the first one with having my Server only image downloaded to my Nuc – however before I get into that I wanted to explain what I did to my Nuc in order to get to that point. In the first post I explained how to pick the right Nuc for my development needs. Mine I decided for a Swift Canyon version with 16GB of Ram and an i5 processor with 120GB drive. Then I went out and got a Windows 10 license on a bootable USB and hooked up my monitor, keyboard and mouse – also the LAST time I hooked all those things up! Plugged it in, turned it all on and within a short while I had Windows installed, updated and ready to go. Next I got a version of WM Player and installed that. 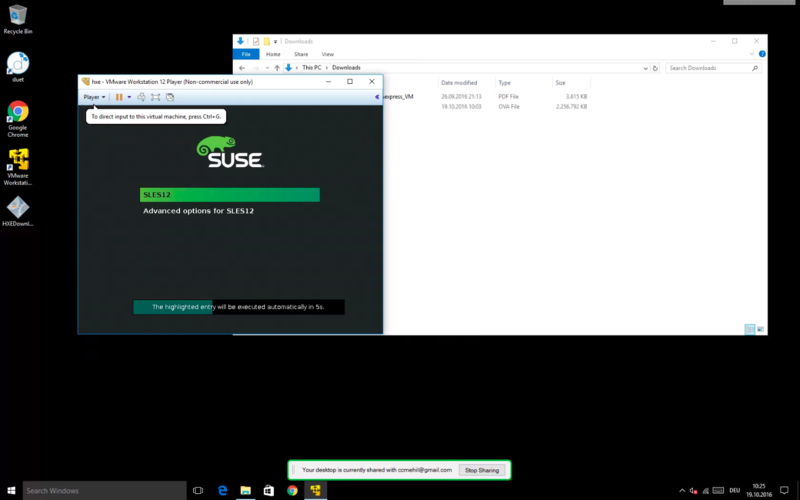 With that installed as well, I then jumped back to the instructions in my first post, and downloaded my Server only VM image. Then I opened up the VM player and chose to “open virtual image” and selected the hxe.ova file I just downloaded. That took just a minute to import and I was ready to go. But you know, I’m kind of lazy and was getting annoyed with sitting there on a now crowded desk with everything plugged in so I decided why not make live a little easier. 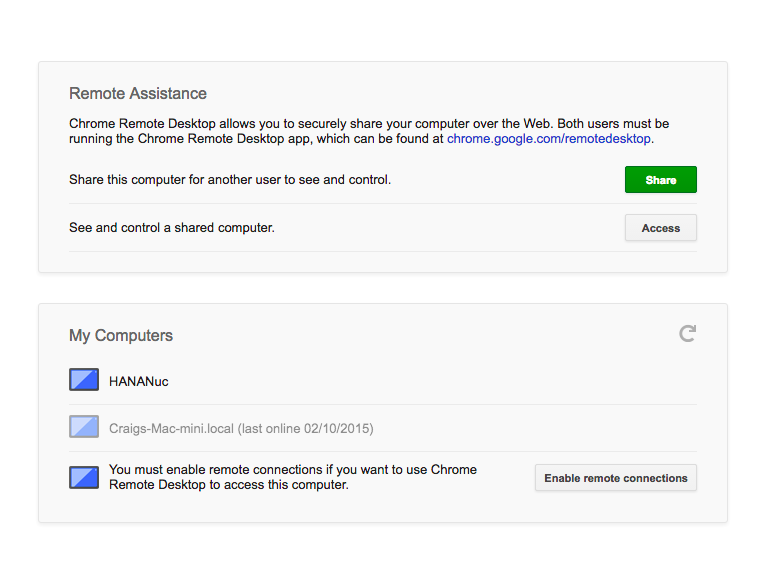 I decided to install the Chrome browser and the Chrome Remote Desktop (CRD). 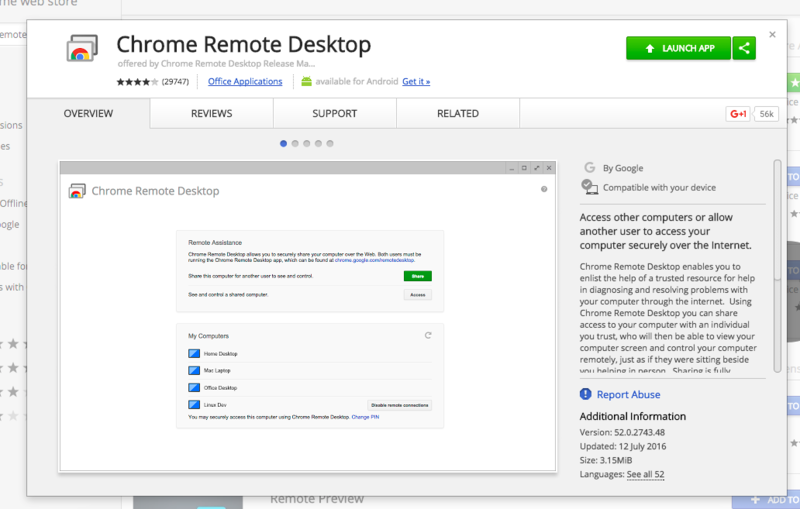 It’s a great tool you can find in the Chrome Web Store and it runs as a service so with my Windows already set to automatically login and now Chrome Remote Desktop installed I can reboot the Nuc and connect remotely from my laptop or even desktop via the CRD tool. Now I shutdown my Nuc, unplugged everything and put my office back together. Then turned on the Nuc, went grabbed a coffee and a nice comfy spot on my sofa, it is vacation after all. I opened my Chrome browser and connected to the Nuc. Opened the VM Player and started my instance. I just needed to open the following tutorial in order to get started with the VM and then press play on my new image. Following the tutorial I changed my password. 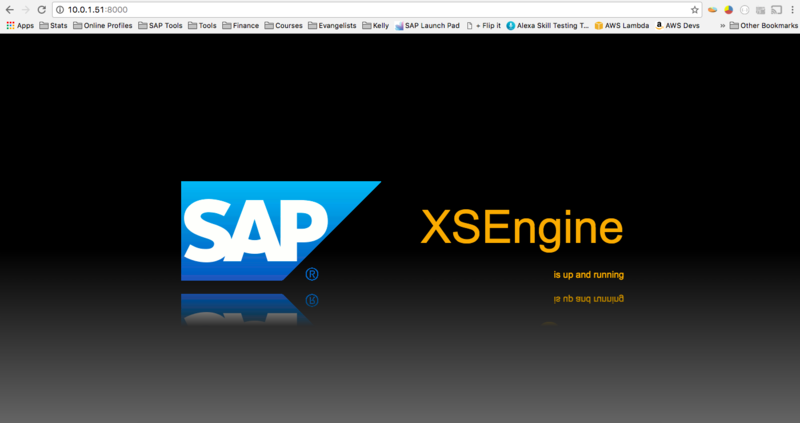 Then I made sure my XS engine was running and I could connect to my new SAP HANA server from my laptop. Then it was a matter of connecting the SAP HANA Studio and requesting my permanent license. This whole process I think took me less than 45 mins! How have you got along? it’s hard to belive that going from 12GB on my laptop to 16GB for what HXE is supported for would increase performance that much. 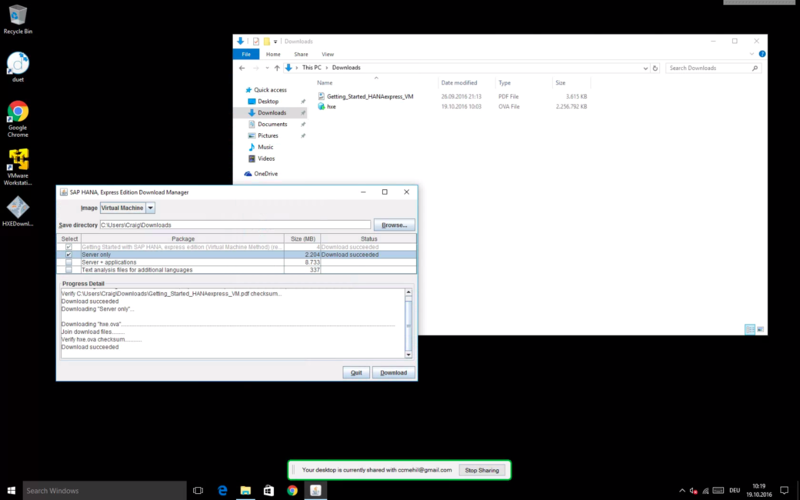 can you add more RAM to your box easily without breaking Windows licensing terms with Microsoft? Not being a Windows user I’m going to ask “huh”? on that. 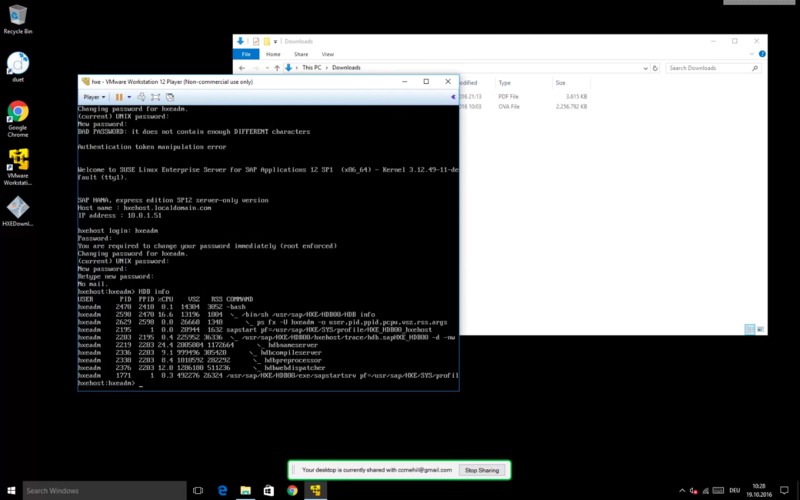 Is Windows licensing tied to RAM on your machine? 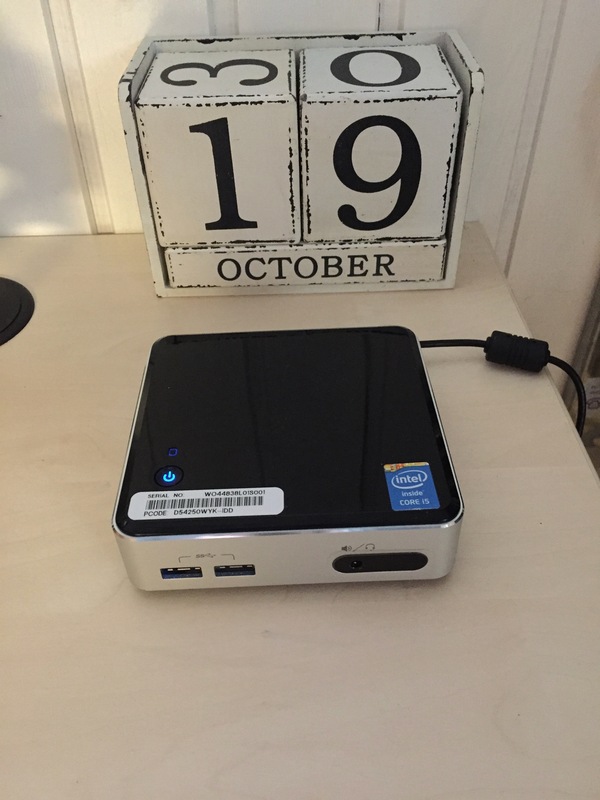 This particular Nuc I am using is maxed out at 16GB, it’s one I got last year – new one is on the way. 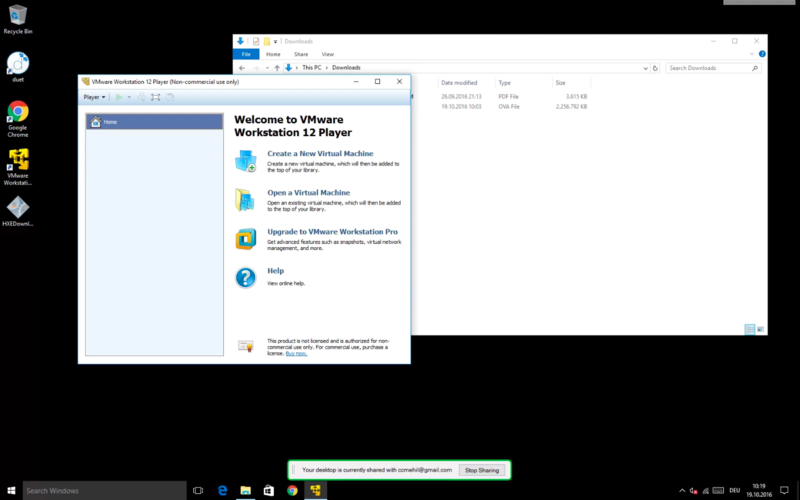 Since I don’t do anything on the box other than run the VM I could probably give the VM all 16GB and it would be fine, I limited to 8GB simply because I wanted to be able to do some more demos on the box itself (portable scenario) . Running the Server only in 8GB VM on a 12GB system I would imagine would still be OK – you may not be able to run your mail client, browser and HANA studio on the same box though. Microsoft came once up with the idea that you have a valid license that you have to validate again when the underlying hardware changes too much. AFAIK adding more RAM never triggered that revalidation process (in case you didn’t went from 2GB to 512GB). Nevertheless, shouldn’t be a problem to run Linux on the NUC and then run the VM from there. May save you some money and license validation “work”.